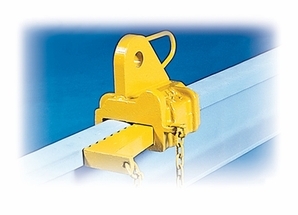 Rail Tugger has self-locking wedge to tightly grab rail. Use Tugger to drag or position 39-foot lengths of rail. Handles rails 100-141 lbs./yd. Always pull horizontally. Do not attempt to lift or hoist rail with Tugger. Do not use for crane rail.